The Oswego Canal is the third longest of the canals that make up the New York State Canal System. Beginning at its junction with the Erie Canal (Three Rivers Junction) near Phoenix, NY located 6.8 SM (5.9 NM) west of Erie Canal Lock E23. The Oswego Canal runs in a northerly direction following the Oswego River passing through the towns of Phoenix, NY, Fulton, NY, and Minetto, NY until it reaches Oswego, NY and finally emptying into Lake Ontario. When the original Erie Canal was built, it bypassed Lake Ontario in an effort to concentrate on establishing a trade route to the upper Great Lakes by the easiest route available at the time while avoiding the Niagara Escarpment. It was soon realized that a canal to Lake Ontario was needed to aid in commerce between Northern New York and Canada, so construction on the Oswego Canal was started in 1825 and lasted 4 years. The canal opened in the spring of 1829. 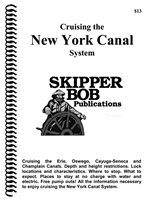 The navigation season for the Oswego Canal is the same as for the rest of the New York State Canal System with the exception of the Cayuga-Seneca Canal. Typically, mid-May through October or November with the standard hours of operation being from 0700 to 1700 daily. A number of locks on the Oswego Canal also have extended hours operating until 2200 daily until shortly after Labor Day when they revert back to 1700 for the remainder of the navigation season. These hours are subject to change from year to year. A complete listing of the operating schedule is located in the right sidebar (“NYSCS Operating Schedule”) and is published prior to the start of each year’s navigation season. 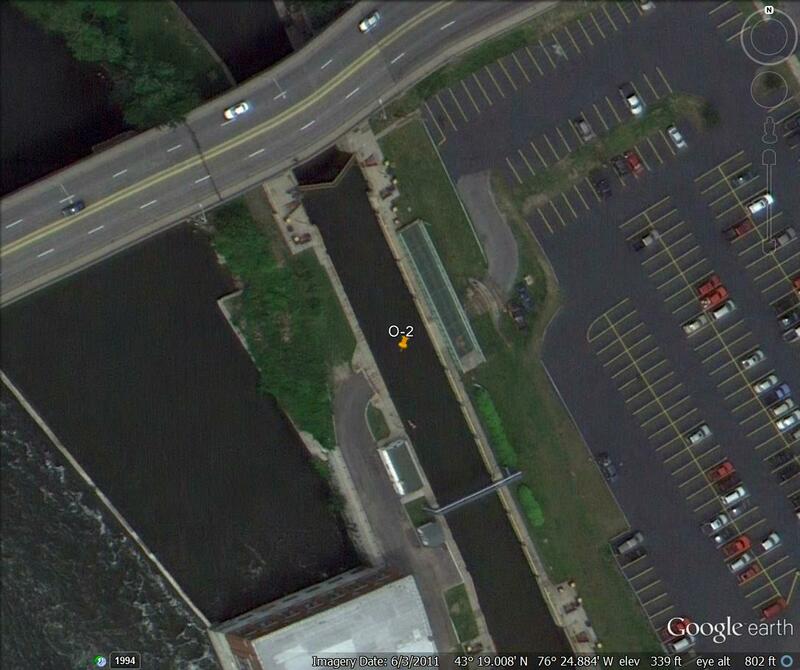 The Oswego Canal from Three Rivers Junction to the open waters of Lake Ontario is 24.2 SM (21.8 NM). 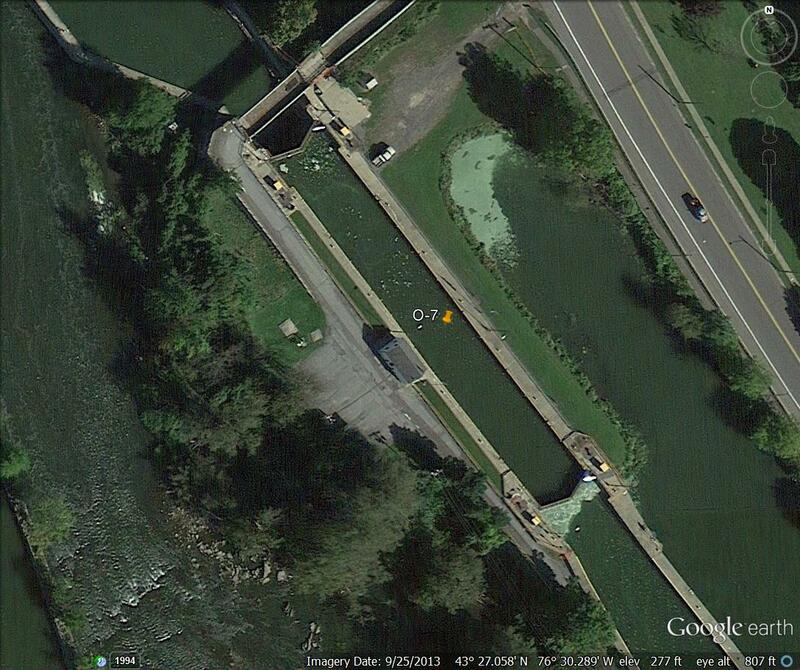 To further break this down, the distance from the first lock O1 to the last lock O8 is a total of 20.7 SM (18.0 NM). A complete set of distance tables can be found on the Oswego Canal Distances Page. The tables are published in Statute Miles, Nautical Miles, and Kilometers. They are available for download. When transiting the Oswego Canal, red markers are kept to starboard when northbound from Three Rivers Junction until reaching Lock O8. From that point the buoyage system reverses; where red markers are now kept to port until reaching the open waters of Lake Ontario. You can view each chart by clicking on the "Chart #" above. The chart will open in a new window. All Lock chambers are the same; 328 feet long and 45 feet wide and offer lines, cables, pipes, or in many cases a combination of both, on the lock walls for your vessel. 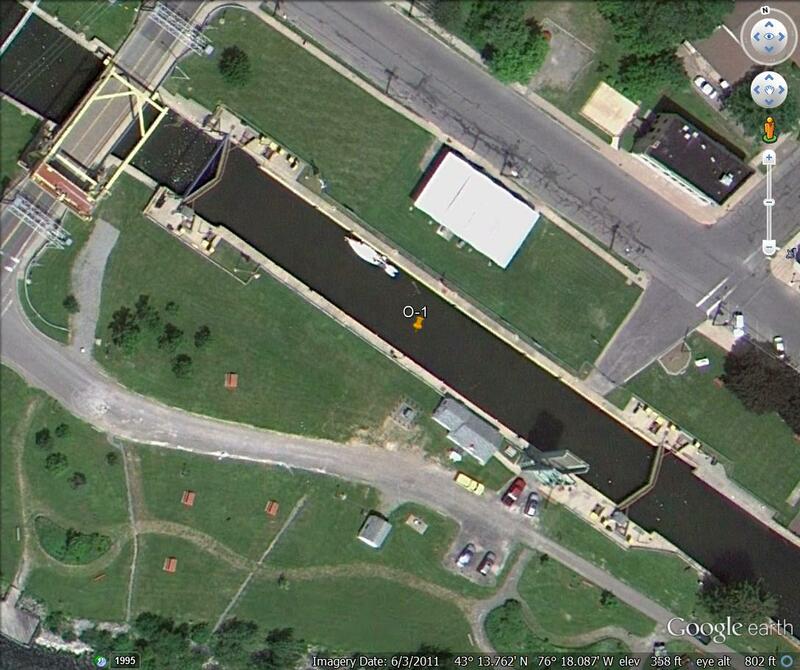 NOTE: There is no Lock O4 on the Oswego Canal. 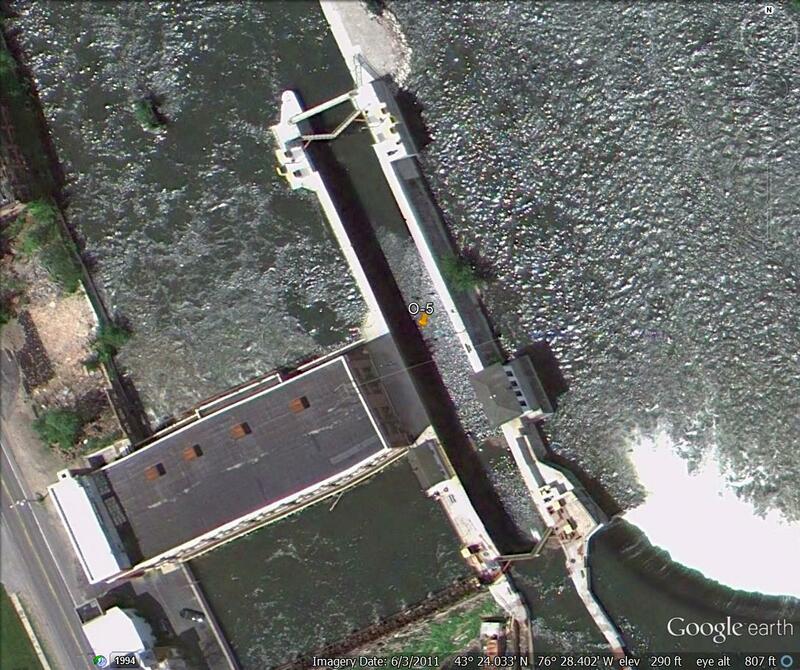 A complete listing of the (7) Oswego Canal Locks with distances, lifts, and estimated transit times can be viewed at the Oswego Canal Locks Page. These tables are available for download. 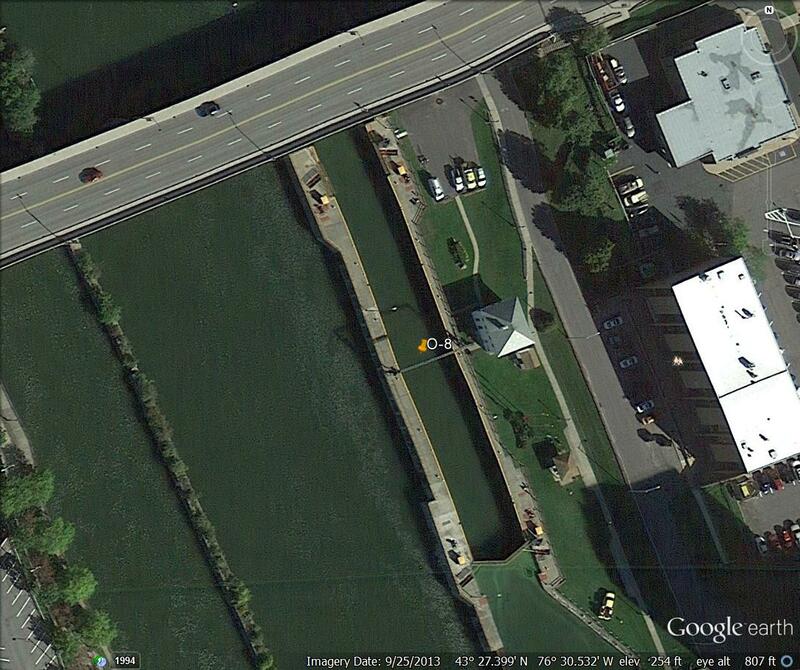 From Three Rivers Junction to Oswego, NY project channel depths are 14 feet with 14 feet over the lock sills. At normal pool level, minimum bridge clearance is 21 feet 1.8 inches at bridge O-13 and O-13A. At maximum pool level, minimum bridge clearance is 20 feet 0 inches at O-4A (pipeline), O-7A and O-10. For a complete listing of Cayuga-Seneca Canal bridges, guard gates, and utility crossings along with their clearances, visit the Oswego Canal Bridge Clearances Page. These tables, in Statute Miles, Nautical Miles, and Kilometers/meters, are available for download. All lockmasters maintain a watch on VHF channel 13 (156.650 MHz). Phone numbers of each lock can be found at the Oswego Canal Locks Page. 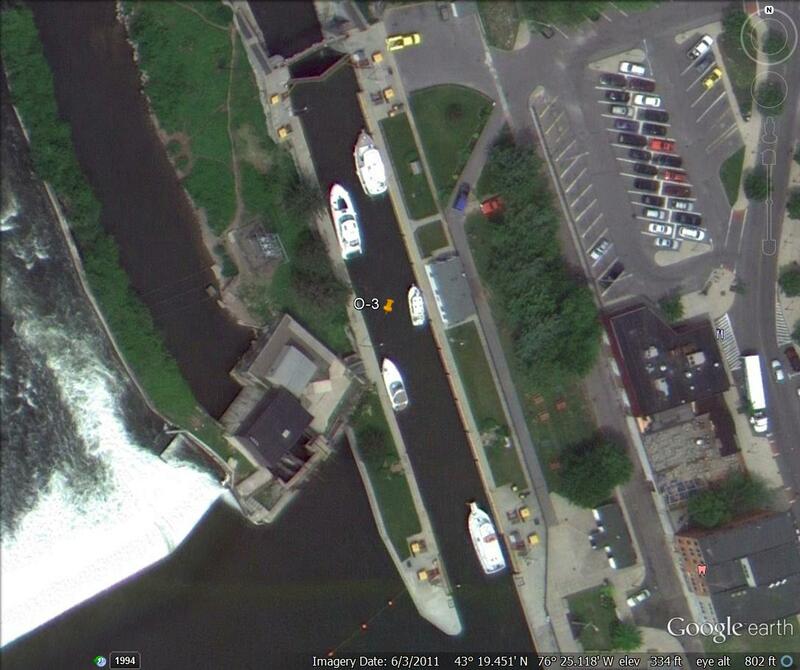 From the Erie Canal/Oswego Canal Junction (Three Rivers) to Lock O2 - 10 mph (8.7 knots). Lock O2 to Lock O3 - 5 mph (4.3 knots). 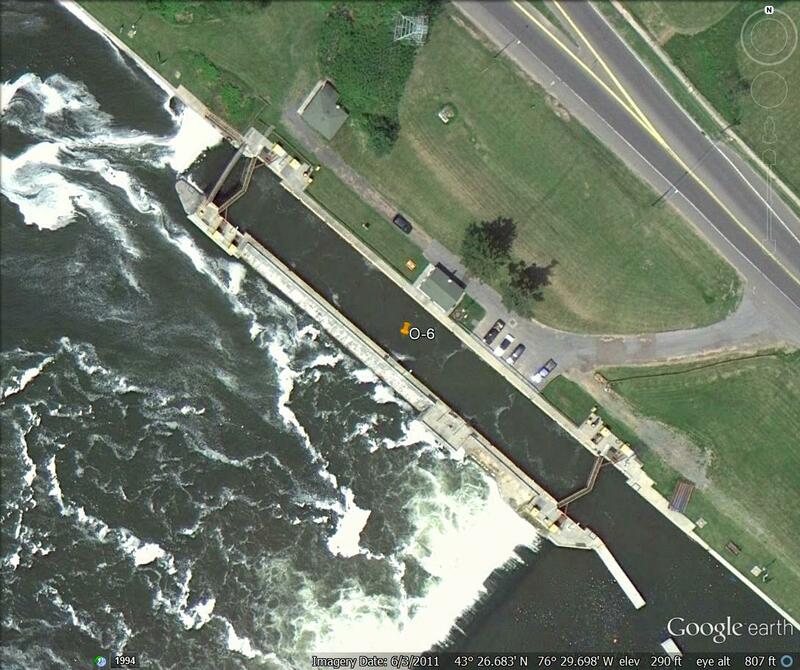 Lock O3 to Lock O6 - 10 mph (8.7 knots). Lock O6 to Lock O8 - 5 mph (4.3 knots). Speeds broken down by each canal segment and provided in MPH, Knots, and KPH can be found on the Oswego Canal Distances Page. As a general guide, the Oswego Canal from the Erie Canal Junction at Three Rivers to Lake Ontario can be done in about 4.7 hours for a vessel capable of maintaining the posted speed limits. A vessel making 7 knots will require about 5.2 hours for the same transit. Keep in mind that all of the stars in the universe have to align for this to happen. In reality it would be best to figure on 6 to 7 hours to make the passage. Distances between major points along the Oswego Canal can be found on the Oswego Canal - Distances Page. The distances table shown is useful in planning your transit through the canal. NOAA Weather broadcasts can be found at 162.550 MHz (WX-1 VHF) out of Syracuse, NY (WXL31). This station provides coverage for the entirety of the Oswego Canal providing current and forecasted weather and emergency alerts. Once in the vicinity of Lake Ontario, NOAA Weather Radio out of Rochester, NY (162.400 MHz WX-2) may provide better marine forecasts for Lake Ontario. There will be no tolls or fees for non-commercial use of the Canal System in 2019. New York State Canal System. If you will be transiting or exploring the eastern portion of the Great Lakes from New York to Lake Huron including the New York Canal System; Lake Ontario and the Trent-Severn Waterway; Lake Erie and Lake St. Clair; and Lake Huron, Georgian Bay and the North Channel. The preferred route of the Triangle Loop (Champlain waterway) is also provided. This guide features mile-by-mile navigation information, aerial photography with marked routes, marina listings and locator charts, anchorage information and expanded "Goin' Ashore" articles on ports along the way. Cruising the New York Canal System. Depths, lock locations and characteristics, where to stop and what to expect, places to stay at no charge with water and electric, and where to find free pump outs! Also covers the history of all four canals, including historical sites and places to shop today.